After three days of speeches at the conservative cattle call that is the Southern Republican Leadership Conference (SRLC), one presidential candidate stood out in an already crowded Republican field of hopefuls: neurologist-turned-politician Dr. Ben Carson. 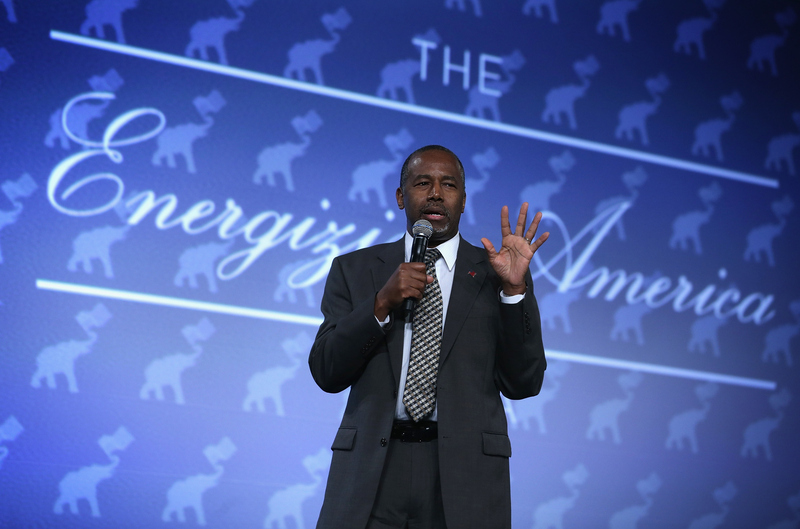 Carson, who announced his candidacy for the White House earlier this month, emerged victorious at the SRLC's closing straw poll, drawing just over a quarter of the votes. Considered an early indicator of southern primary voter support, the conference straw poll is also the first in the election cycle. A win in this contest, however, does not always guarantee a strong showing in Republican primaries: In the 2011 straw poll, for example, former Texas Rep. Ron Paul won by a margin of nearly 15 percentage points over former Utah Gov. Jon Huntsman. At this year's SRLC, Wisconsin Gov. Scott Walker finished in second place, currying favor with just over 20 percent of the crowd. Texas Sen. Ted Cruz followed with 16.6 percent of votes. New Jersey Gov. Chris Christie came in fourth at 5.3 percent, with former Texas Gov. Rick Perry trailing close behind with 5 percent of votes. The conference kicked off Thursday in Oklahoma City with numerous conservative superstars on its lineup. Though several senators -- and likely presidential candidates -- were scheduled to speak, some were not in attendance because of Friday's prolonged Senate session. Sens. Lindsey Graham and Marco Rubio both addressed the Republican crowd via taped messages, along with former Arkansas Gov. Mike Huckabee. About 1,500 eligible voters from across 25 southern states took part in the conservative confab, according to event organizers. Just under two-thirds of the registered attendees voted in the straw poll.